The EuroTech workshop on European Research Council Grants will take place on 30 November 2017 in Brussels. Participants will exchange best practice in supporting ERC grant applications and will explore possibilities of further collaboration between the EuroTech partners on ERC Grants. 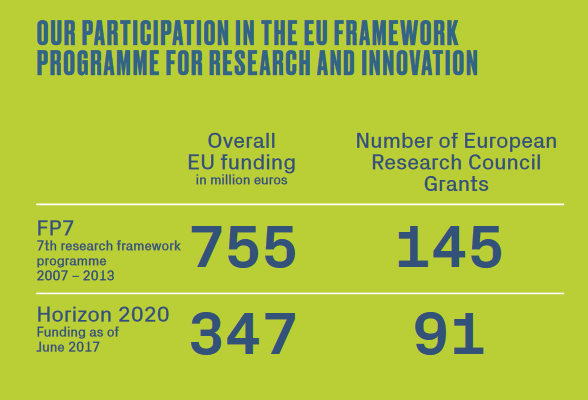 The EuroTech Universities actively participate in the European programmes for research and innovation and have extensive experience in applying for the European Research Council grants. The partner universities received 145 ERC grants from FP7 (2007-2013) and 91 ERC grants from Horizon 2020 (until June 2017). For more information contact Maria-Valerie Schegk.